Whatever happened to these '80s comedy stars? The 1980s were a good time for comedy. Caddyshack, 9 to 5, The Blues Brothers, and Ghostbusters are products of the era, laying the foundation for much of what we consider modern cinema. Without John Hughes, would we have The Fault in Our Stars? Without The Goonies would we have Stranger Things or the autumn-gobbling megahit that was 2017's It? Would the genre-blurring metatextual humor of such disparate films as Wreck-it Ralph and Deadpool have been possible without Who Framed Roger Rabbit? It wasn't just an era full of laughter but one of invention, risk-taking, and wild, wacky stunts that, in concept, might have sounded ridiculous but in execution became the stuff of legend. This was also the era that saw luminaries like Eddie Murphy and Bill Murray rocket to the top — names we've definitely not forgotten, nor are likely to any time soon. But what about those stars who lit up the screen for one summer blockbuster or two, then seemed to disappear? The answer, it turns out, is multifaceted. Some moved behind the camera. Some took care of their families. And some are still with us, acting with the best of them — just maybe not where we'd expect. Join us as we delve into the lives of those who made the 1980s the laugh riot it was — and what happened afterward. Only an actor truly worth his salt could take the role of a corpse and make it into something memorable. 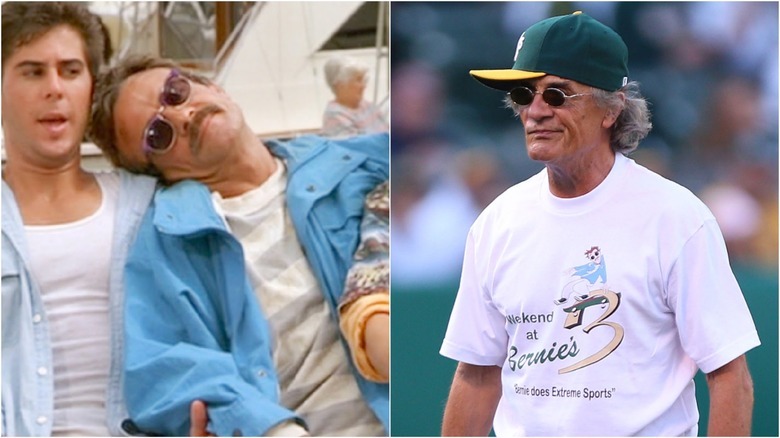 That's just what Bernie Kiser did in Weekend at Bernie's, the classic comedy centered around two dudes' attempt to pass their dead boss off as living, breathing, and ready to party after he's murdered in a corporate cover-up gone awry. Kiser's ability to inject the role with sly physical comedy and a perfectly deadpan stare — emphasis on the dead — catapulted the movie to cult status and a sequel. After the Bernie's movies, Kiser kept on in comedy, appearing in film and television — with, in later years, a growing emphasis on the latter medium. His filmography is studded with some of the biggest hits of the past few decades: Murder, She Wrote, The Golden Girls, The Fresh Prince of Bel-Air, and Three's Company comprise only a small part of it, with his role as H.G. Wells in Lois & Clark: The New Adventures of Superman being perhaps the most amusing. In 2013 he moved to Austin, Texas and tried something entirely new: teaching. The Actor's Arena, which he founded with actress and partner Joy Leigh, caters to all who'd like to appear on the stage and/or screen, from neophytes to experts. Kiser isn't just finding success — he's paying it forward. 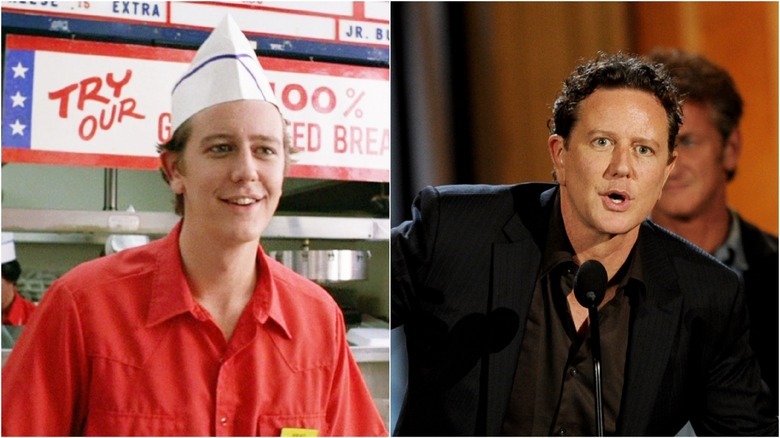 Judge Reinhold's 1980s career is absolutely stuffed with comedy triumphs of the decade: Fast Times at Ridgemont High, Beverly Hills Cop, and Gremlins are only a few of them. His role in Beverly Hills Cop, Detective Billy Rosewood, is arguably what he's best known for decades later, and given the movie's now-ironclad status as a classic, it's no surprise why. Indeed, his role in Cop catapulted him to films like Roadhouse 66 and Head Office, but Reinhold, by his own admission, developed an unpleasant attitude that turned studios and coworkers away. "I was spoiled and I was arrogant," he told the Los Angeles Times in 1992. "I was very demanding, had an overblown image of who I was and got a reputation for being difficult. And rightfully so." After returning to supporting roles, Reinhold developed a stronger work ethic and has been appearing regularly onscreen ever since. His filmography contains more family-friendly movies than it once did, from the Santa Clause series to Clifford's Big Movie. He's also appeared in a number of hit television shows, including Monk and Arrested Development. As it stands now, Reinhold's career is a testament to persistence and an object lesson in change: It's never too late, too hard, or too slow. Phoebe Cates isn't just an actress — she's a performer of every stripe. From her time at Juillard to an invitation to join the School of American Ballet to a short, if very successful stint as a model, she's been in front of a camera hundreds of times in hundreds of ways. It's no mystery as to why: From her magnetic disposition to her warm brown eyes, Cates has always been someone you want to watch. This translated to big-screen success when she appeared in teen classic Fast Times at Ridgemont High as Linda Barrett, the sophisticated older girl who acts in contrast to the main cast's stumbling adolescence. After that legendary role, Cates appeared in a variety of films, from Gremlins to Drop Dead Fred, in addition to the covers of teen-oriented magazines like Seventeen and Tiger Beat. As the years went by, she settled down with fellow actor Kevin Kline, had some children and saw them off to adulthood. Though she's appeared in film and TV now and then, she's largely got her priorities held more close to home. Perhaps most notable is her New York City boutique, Blue Tree, a charming hole-in-the-wall filled with an ever-changing selection of what makes the woman in the red bikini smile. Long before comic book movies ruled the cineplex, technology was omnipresent, software engineers were rockstars, and the average Joe knew to head to an electronics shop with how much RAM he was interested in buying in mind, there was Revenge of the Nerds, the little story about computer geeks that could. 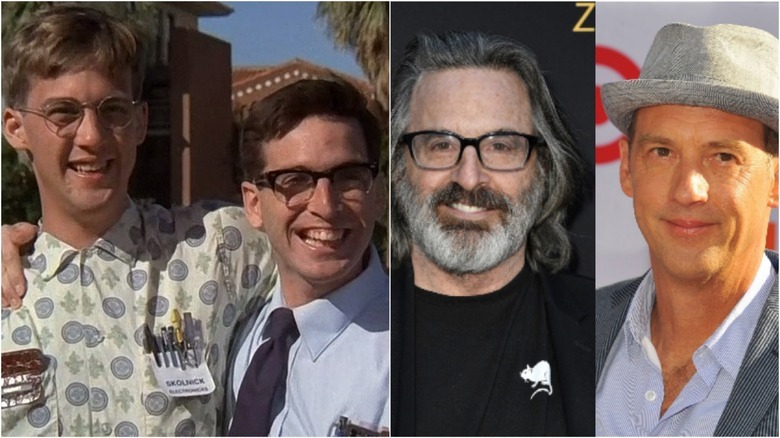 Anthony Edwards and Robert Carradine, two of the eponymous nerds, were at the forefront of this movement, pocket protectors and thick-lensed glasses at the ready, making the case for being proudly uncool. Sequels ensued, and a lifetime place in the pop-cultural firmament. Carradine and Edwards have remained part of the entertainment circuit ever since: Carradine spent years playing Lizzie McGuire's dad, while Edwards has recently been seen on Netflix's Designated Survivor. Both also went on to marry, have children, and generally settle into middle age. They haven't left the nerdy life entirely behind, however: recent years have seen Carradine and Nerds co-star Curtis Armstrong producing and hosting TBS's King of the Nerds reality show, in which misfits battle to claim the title of most successful nerd. Though nerdiness isn't quite what it used to be, one thing remains certain: it's here to stay. In Just One of the Guys, her breakout 1985 school comedy, Joyce Hyser plays a teen reporter fed up with the treatment her good looks and fashion sense inspire in the male teachers she needs to impress to make her dreams come true. In a fit of rebellion, she enrolls as a boy named Terry at a rival school and decides to see just how far she can go if seen as an aspirant reporter first and a pretty young thing second. Hijinks, of course, ensue, and Hyser's quirky charm carries her through everything from nerd-vs.-jock entanglements, romantic confusion, and journalistic triumph. It is, in many ways, the platonic ideal of the 1980s comedy: teens get into trouble, boys chase lustfully after girls, and the underdog wins the day. After its release, however, Hyser laid low. She's been seen on film and television here and there, from the CSI series to 2014's The Wedding Pact, her most recent movie, but by and large she's devoted her life to other things. Principally, she's now a philanthropist on behalf of the Harold Robinson Foundation, an organization that works to send underprivileged kids on camping retreats they couldn't otherwise afford. As a member of the Board of Directors, Hyser cites her own experiences in summer camp as pivotal to the pursuit of her dreams and something she is dedicated to making sustainable, innovative, and above all accessible to kids of all backgrounds. Airplane! is likely one of the world's most quoted movies. People everywhere note that they have a "drinking problem" after splashing water on their face, ask after inflatable "autopilots," and those named Shirley are… well, either huge fans of the film or its biggest detractors. Regardless, Airplane! 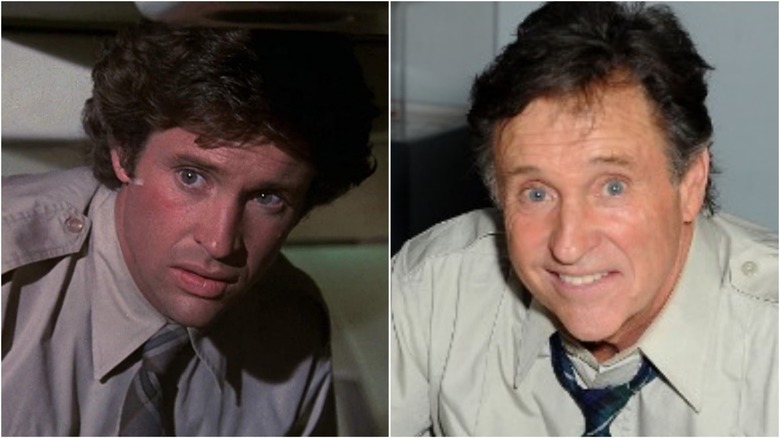 is solidly considered a classic, and star Robert Hays' performance as Ted Striker is no small part of that. He blended humor with just the right amount of straightforward protagonist cool and the rest is history — multiply-quoted, highly-YouTubed history. Hays has persisted in Hollywood for decades now, exploring the world beyond comedy, yet also seeing what else he can do within it. His work encompasses kid-oriented fare like Homeward Bound: The Incredible Journey as well as more overtly satirical, adult-oriented projects such as Superhero Movie and Sharknado 2: The Second One. He's not just working in front of the camera, however — he's behind it as well. 1986 saw his directorial debut in the ABC science fiction series Starman, and he's gone on to serve as a producer on such films as Nicky's Birthday Camera and Kelly Kelly. He's not above returning to his roots, either — 2013 saw him appear in a Wisconsin tourism ad that reunited him with Airplane! co-director David Zucker. Gedde Watanabe's career is a complicated one. If his face looks familiar to you, it's likely from his performance as Long Duk Dong, the lecherous foreign exchange student from the otherwise soft-hearted John Hughes romantic comedy Sixteen Candles. It's a character that hasn't aged well, to the point where Watanabe recounts being accosted on the street by strangers offended by both the portrayal and the fact that he took the part in the first place. As he told NPR in 2008, "I was making people laugh. I didn't realize how it was going to affect people." That might have been the capstone to his career. 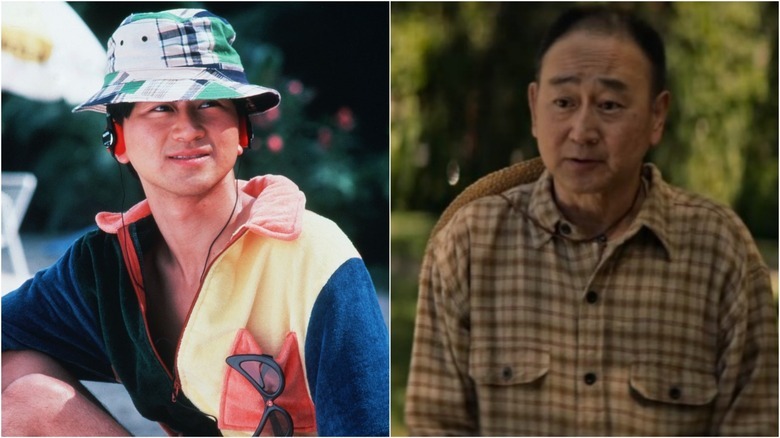 But Watanabe has remained a strong and steady actor, appearing in everything from Sesame Street to Gung Ho and its television spinoff and Weird Al Yankovic's UHF. But there is one role that eclipses the rest, perhaps even that of Long Duk Dong: Ling, from Mulan, the skinny military recruit that starts off as more than a little bit of a slacker and ends up as the titular heroine's true and trusted friend. Not a bad second act for "the Donger." 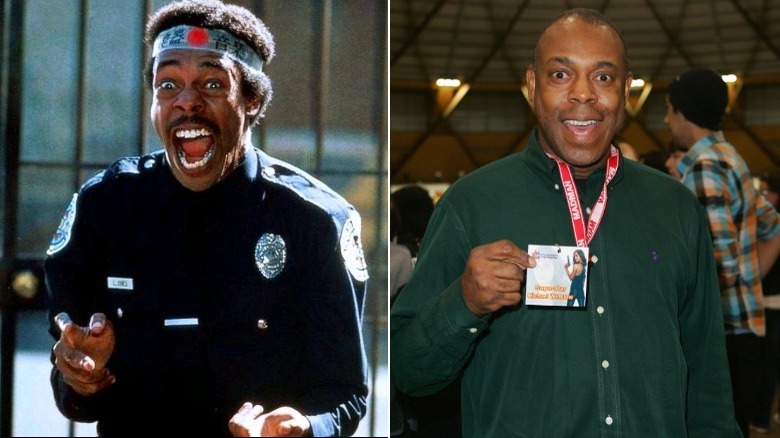 Michael Winslow might be more well known by his moniker, the Man of 10,000 Sound Effects, than by his actual name. Watch his work in the Police Academy movies or Spaceballs, and there will be no doubt as to why: if it makes noise, no matter if it's mechanical, animal, or totally imaginary, Winslow can imitate it with an accuracy that borders on the bizarre. It's a skill he developed as a lonely child with too much time on his hands, and one that remains unique — he's even got a 1985 record to his name entitled I am My Own Walkman. This talent has served him well in the decades since his two most famous movies, from public television to wry, referential commercials. He's hosted WGN's Way Back Wednesdays with Winslow since 2008, during which classics of the 1980s play, and has moved into the world of mobile gaming by providing voices and sound effects for the Wizard Ops series of games. You're also likely to see him in advertising: Geico hired him to do his thing for their "We Hired a Celebrity" campaign, in which he delivers literally dozens of effects in 32 seconds. Perhaps most original, however, is his ThatsKungFu app, which produces his kung-fu-style sound effects for the wannabe martial artist in everyone. With a talent like Winslow's, you can't help but go far — and he's certainly done just that. Princess Vespa, the Princess Leia send-up from Mel Brooks' irreverent parody, Spaceballs, is likely one of Daphne Zuniga's most widely remembered roles. Alongside her faithful droid of honor Dot Matrix, voiced by the inimitable Joan Rivers, Princess Vespa flees an arranged marriage, encounters an enormous spaceship shaped like a maid, and finds love with the ever-so-handsome Lone Starr. It's among the most beloved films in Brooks' impressive lineup and Zuniga is a big part of that — her pitch-perfect spoofing of 1980s valley girl culture remains remarkably timeless. But Zuniga's career was far from done. She's likely as well known for her role as Jo Reynolds on Melrose Place as she is for her time as Vespa, succeeded by parts on mainstay programs including One Tree Hill and Beautiful People. Perhaps most impressively, Zuniga is a passionate and committed environmentalist. She's worked with organizations including the Natural Resources Defense Council, the Waterkeeper Alliance, Environment California, was a founding member of the Earth Communications Office, and served on the Board of Directors of the Los Angeles River Revitalization Corporation. Zuniga might be able to play vapid, but through her tireless work on behalf of the earth, it's clear she herself is anything but. 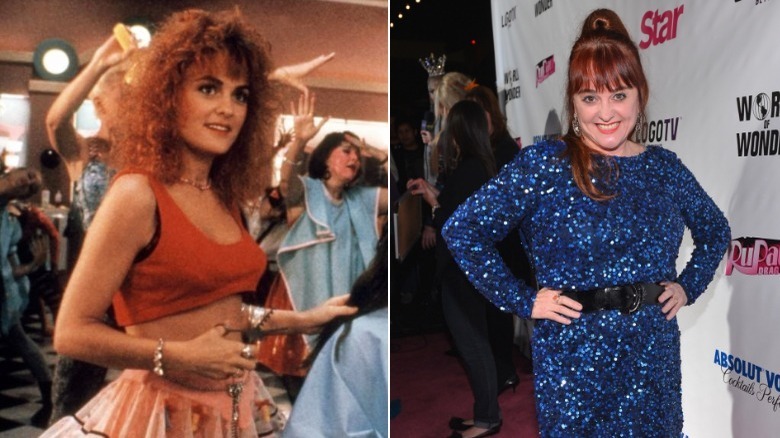 Julie Brown has done a little bit of everything. She's performed in nightclubs, where Lily Tomlin first found her and subsequently put her in 1981's The Incredible Shrinking Woman. She's worked on sitcoms, including Happy Days, Laverne & Shirley, The Jeffersons, and Newhart. She's released albums full of songs like "I Like 'em Big and Stupid" and "The Homecoming Queen's Got a Gun." Back in the 1980s her music videos were in heavy rotation, her resume was expanding by the day, and the whole world was laughing at her jokes. It all culminated in 1988's Earth Girls are Easy, written, produced, and starring Brown, in which she plays an average girl who makes some off-world friends. Though that decade was her apex, Brown really hasn't slowed down much in the years since. She had her own sketch comedy show in 1992, The Edge, appeared in everything from Clueless to Batman: The Animated Series, and even had a parody character in Tiny Toon Adventures called Julie Bruin. In more recent years, she's remained busy with parts on The Middle, as a writer for Melissa & Joey, and, in 2012, judging on RuPaul's Drag Race alongside her similarly monikered fellow MTV vet Downtown Julie Brown. 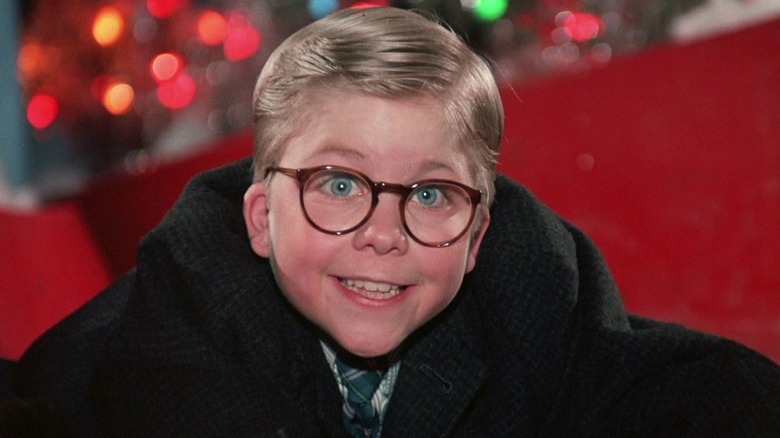 A Christmas Story is a holiday classic — everyone quotes "you'll shoot your eye out!" from Thanksgiving to New Year's Day. 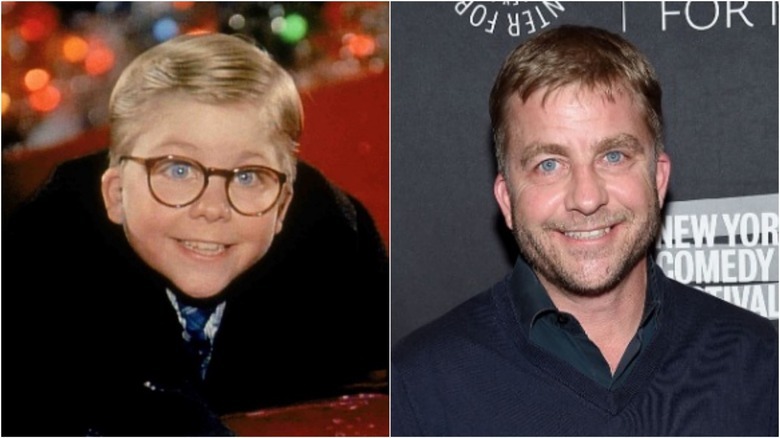 Peter Billingsley, little Ralphie himself, is the heart of it all, from his fear of neighborhood bully Scut Farkus to the tears that fill his big blue eyes as he lies to his mother about, yes, shooting his eye out. He was a kid when it was filmed, with a kid's natural cuteness going for him — but where another young actor might have relied on that alone, Billingsley infused his performance with more than a little snappy irony. His Ralphie loved his family, but he wasn't going to lie to you: he was all about the toys. Billingsley's career has taken him far and wide since then. He was nominated for an Emmy for his role in after-school special The Writing on the Wall, released an album entitled Christmas Stories … Christmas Songs, and continued the Christmas Story legacy by producing a musical adaptation that debuted in 2010. Perhaps his most interesting work, however, has happened behind the camera. He garnered another Emmy nomination as co-executive producer for Dinner for Five, served as executive producer on 2008's Iron Man, and directed 2009 romantic comedy Couples Retreat. An impressive lineup of work, to be sure — and probably not something he has to do in a pink bunny outfit.